Imperative Music Agency Compilation: INTERNATIONAL COMPILATION, DVD FORMAT! 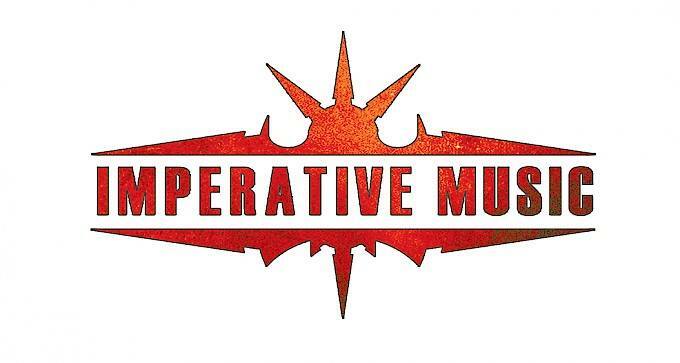 BANDS, today we begin the work to carry out the production of the Imperative Music Compilation DVD, Volume 14. Write and request our contract. This time, we will present your Band with a Song and a Video clip or Lyric Video on the DVD, a full disclosure for everyone to meet the band. 1) The 3.000 DVDs are professionally printed in the USA with full color Cover, DVD-label, Booklet and Inlay-card. This is promotional DVD, not for sale, shipped as Free DVDs around the world. 2) 100 DVDs are mailed to most important manager of Record-labels, Distributors and Press from US, Brazil, Japan and Europe. 3) Imperative Music Compilation is distributed in more than 20 territories. 4) The audio is Mastered in France. Professional Artwork. 5) The band receives 5 DVDs by priority mail, no additional cost. 6) The Distributors sent as Free DVDs to their customers, no cost. 7) Increase demand for your music and opportunities to get record-deal, fans. 8) All the rights for the song and video remain to the Artist (the band) only. 9) We will sign an Agreement with you, we are a serious company. 10) Major Bands as KREATOR, OBITUARY, EPICA, DEATH, LOUDNESS, DEVILMENT, VENOM and other participated on the previous Compilation DVDs. Nuclear Blast / Season of Mist / Earache Records / My Graveyard Prod / My Kingdom Music / Majestic Tattoo / Violent Journey Records. Relapse Records / The End / Heaven And Hell Records / Pathos Productions / Moribund Records / Sevared Records / Dark Horizon Records / Sentinel Steel / Deathgasm Records / Red Stream Records. Cogumelo Records, Imperative Music, Heavy Metal Rock. Rock Stakk, Redrivetrecords, Disk Union. 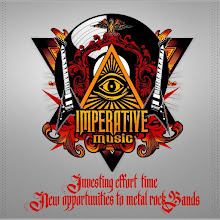 IMPERATIVE MUSIC RECORDS "Metal is our Business"